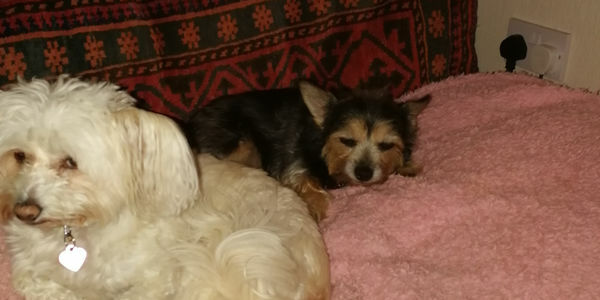 The Ark Animal Rescue and Retirement Home has been resident in North Somercotes - Lincolnshire - UK for over 30 years with an unblemished record. 3 years ago people moved into a property near to The Ark and ever since they have been making complaint after complaint to the East Lindsey District Council - Tedder Hall - Manby Park - Louth - Lincolnshire - LN11 8UP regarding the sanctuary. The Ark has bent over backwards and spent much needed funds on noise reduction schemes but to no avail, the complainants are still not satisfied. This has resulted in the council serving a noise abatement order on The Ark. How do you tell a distressed dog not to bark or howl at times? I must also say that the road on which The Ark is situated is isolated and away from the main village and the only other residents nearby are about 5 or 6 small holdings. It is not as though there is no other noise because at the end of the road, Royal Air Force Donna Nook is situated, which controls the bombing range used by the United Kingdom Air Defence to practice on. When they are practicing you can hardly hear yourself think. My main concern is the complainants want to get The Ark closed down so they can further their own hidden agenda. The noise abatement order is the first stepping stone to this. This petition will be sent to the leader of the East Lindsey District Council. Sign now to demand he rescinds the noise abatement order served on The Ark and informs the complainants. If they do not like it - then move. The Ark has been established for over 30 years. WOULD ALL SIGNERS WISHING TO DONATE TO THE ARK USE THE LINK SHOWN ABOVE FOR EASY ACCESS. THANK YOU.